We are thrilled to announce the re-release of Geographer ‘Animal Shapes’ EP with special bonus track remixes by The Limousines and Wallpaper. These remixes will be available on iTunes and through the Tricycle Records Store today. The two remixes will also be available for download separately. 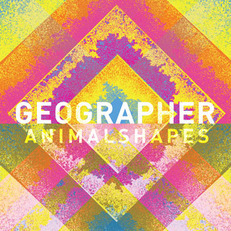 Tricycle Records proudly announces the release of Geographer ‘Animal Shapes’, out today and available on iTunes, Amazon and through Tricycle Records. In 2009, Spin Magazine voted Geographer one of “Three Undiscovered Bands You Need to Hear Now”. With the successful release of ‘Kites’ 7″ and the new ‘Animal Shapes’ EP, the band is already beginning to make an indelible mark on the ears of music fans worldwide. ‘Animal Shapes’ follows up ‘Kites’, building on the synth-driven aesthetic of the single. Flirting with darker, more esoteric underpinnings, this EP merges Geographer’s aptitude for crafting beautiful, haunting melodies with their polyrhythmic energy, marking an evolution of their distinct sound. with Eugenia Loli-Queru for The Owl Mag. with Wallpaper, Hot Tub, Sleepy Sun, Ty Segall and more! Many thanks to our friends and fans for supporting Tricycle Records and our bands!